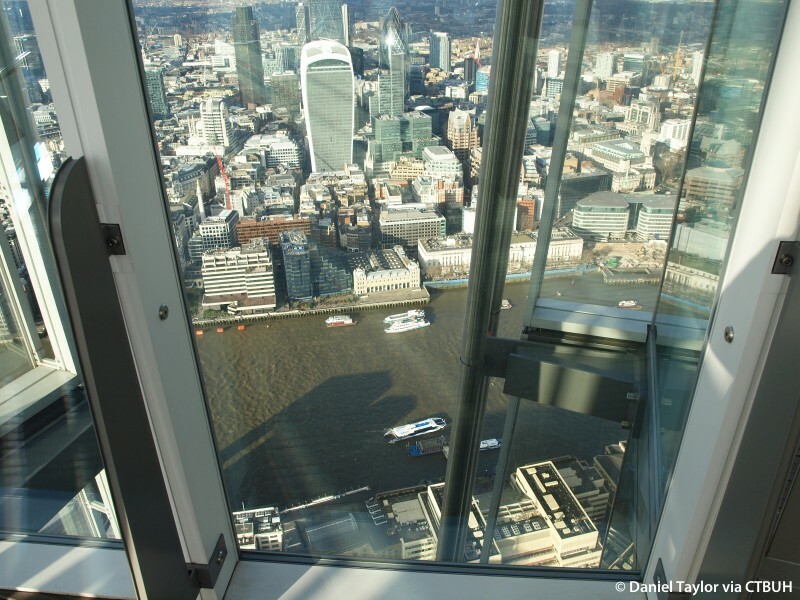 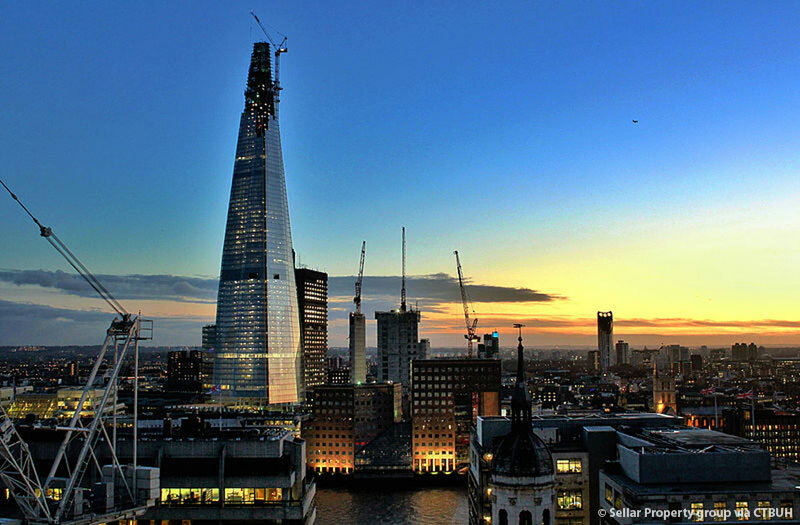 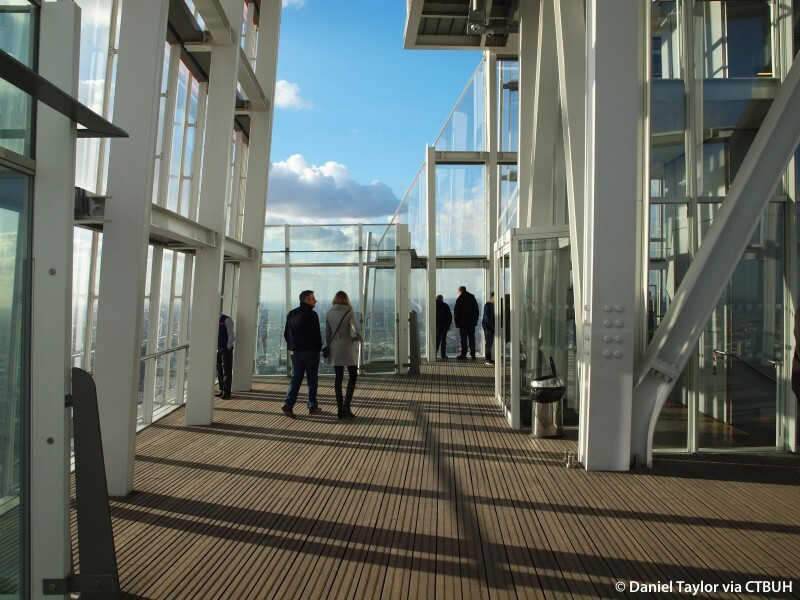 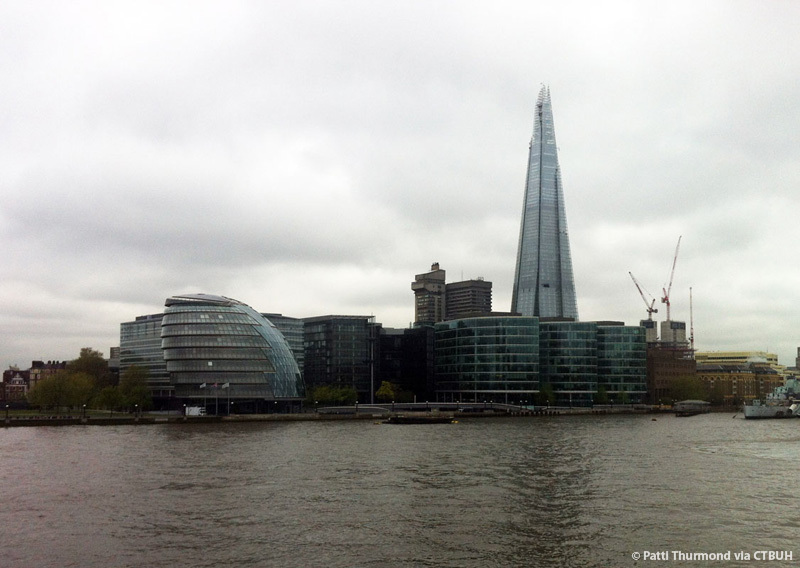 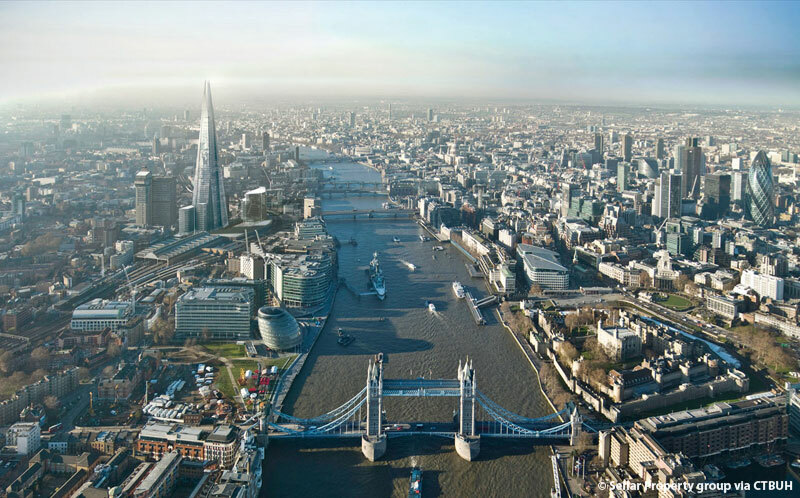 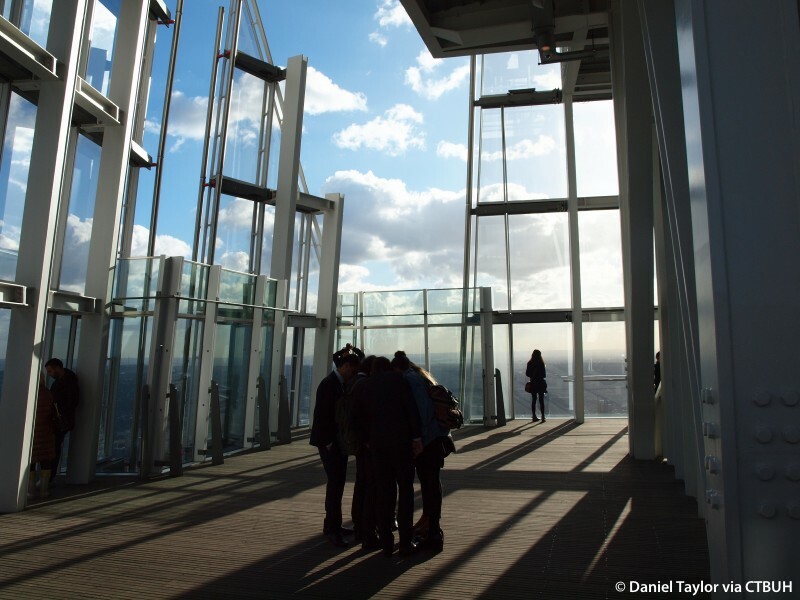 The iconic tower has redefined the London skyline and is already an international symbol for London. 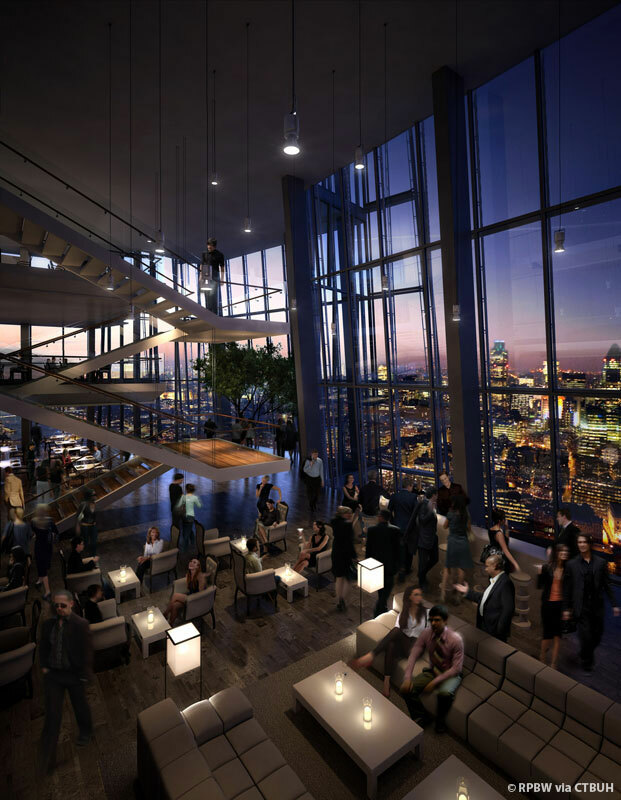 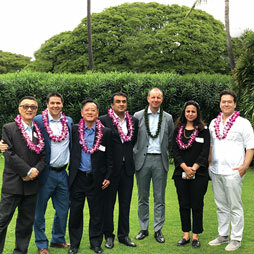 A mixed-use “vertical city,” it offers more than 55,000 square meters of office space on 25 floors, three floors of restaurants, a 17-story hotel, 13 floors of apartments and a triple-height viewing gallery, as well as an open-air viewing floor on level 72. 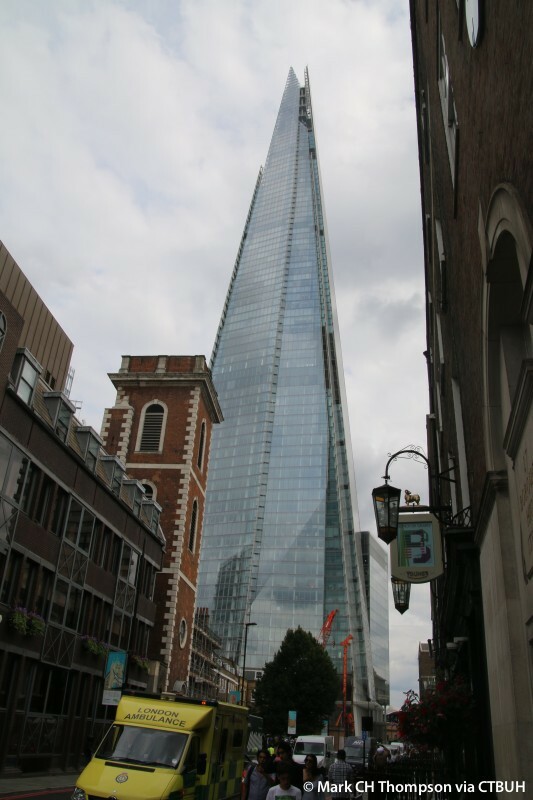 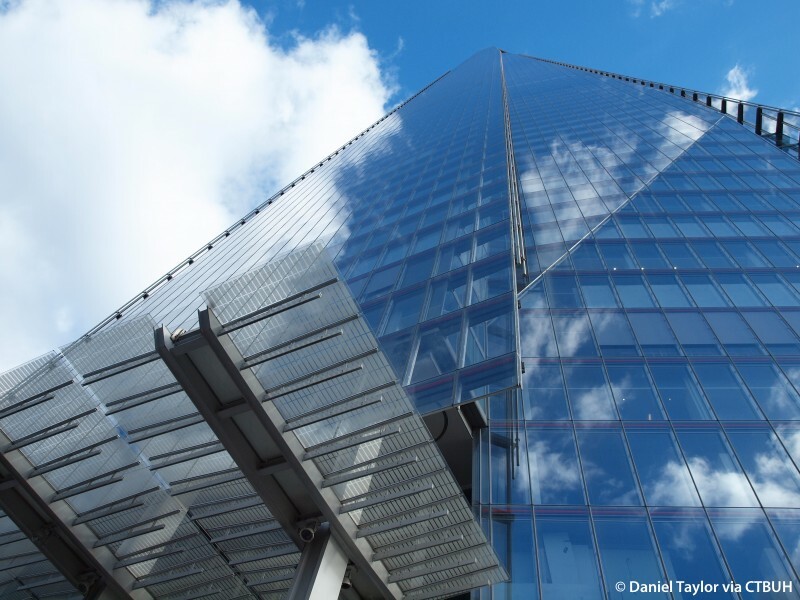 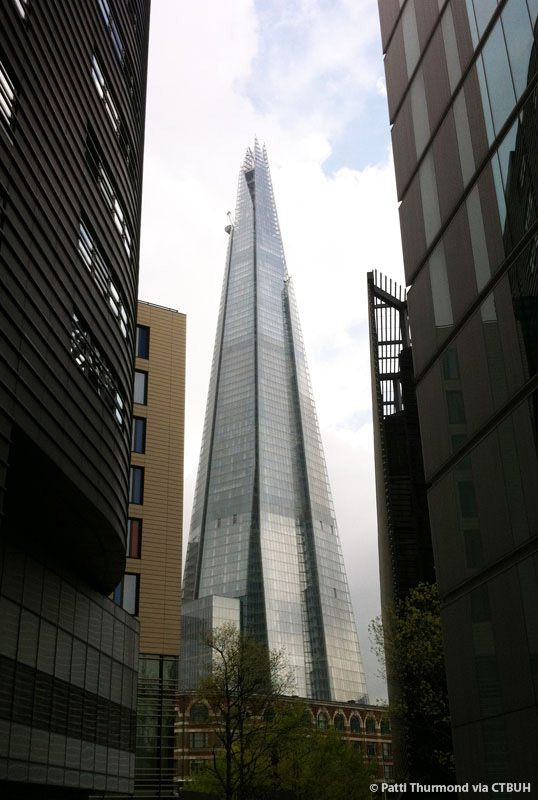 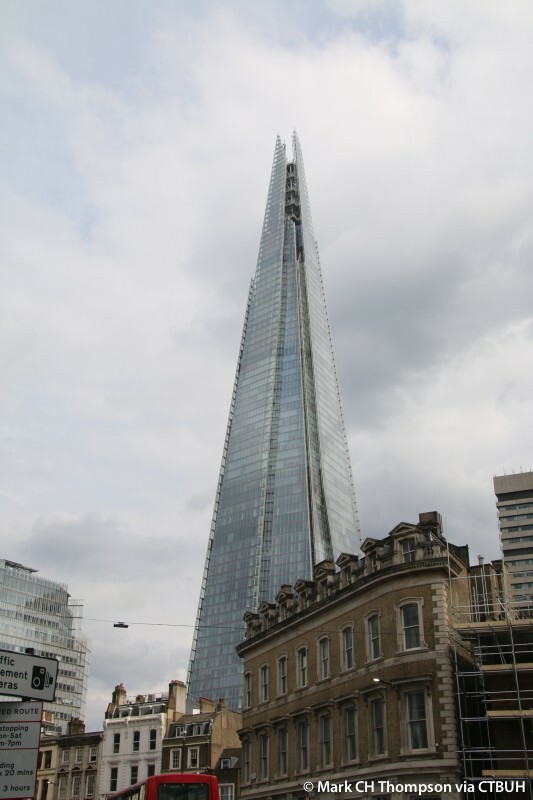 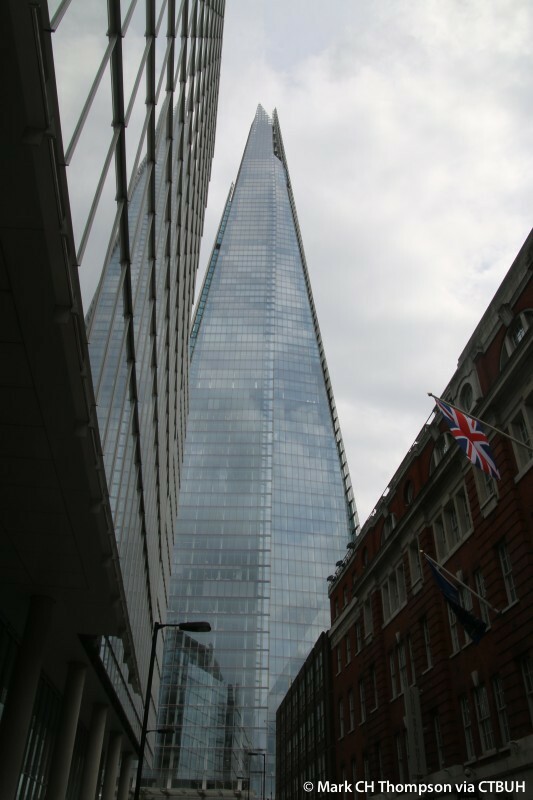 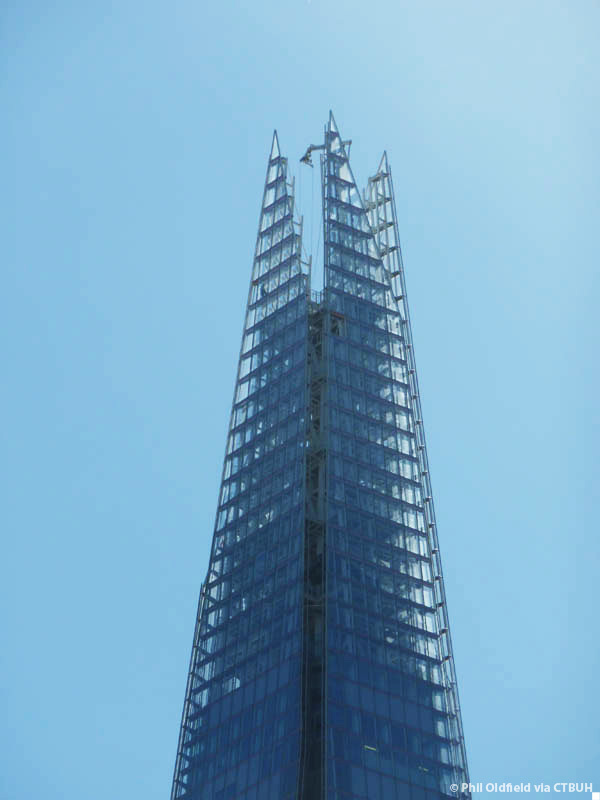 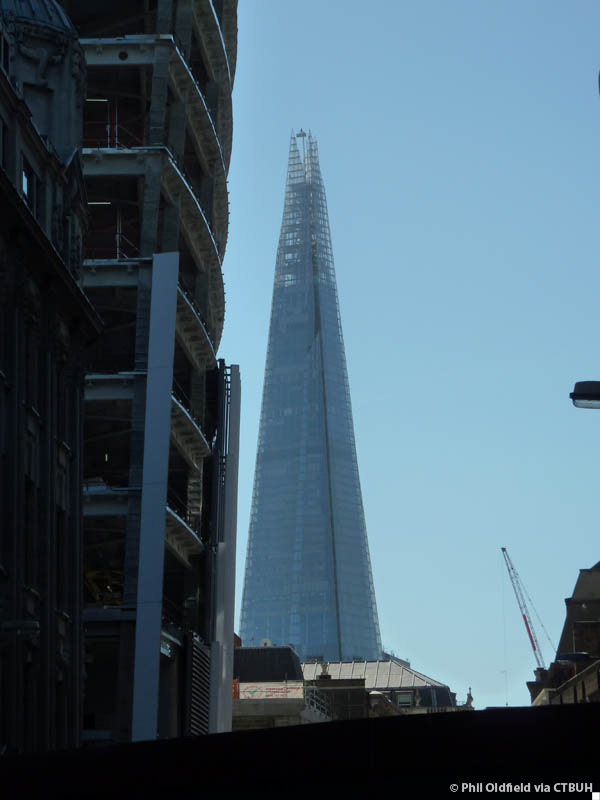 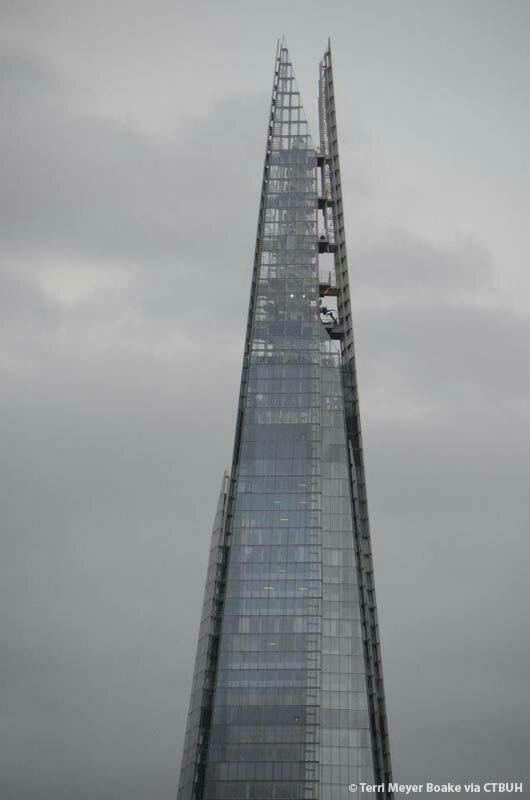 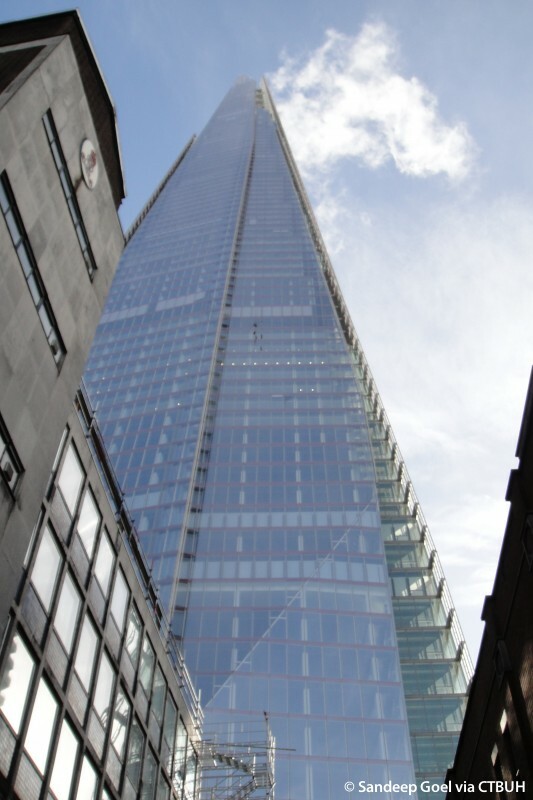 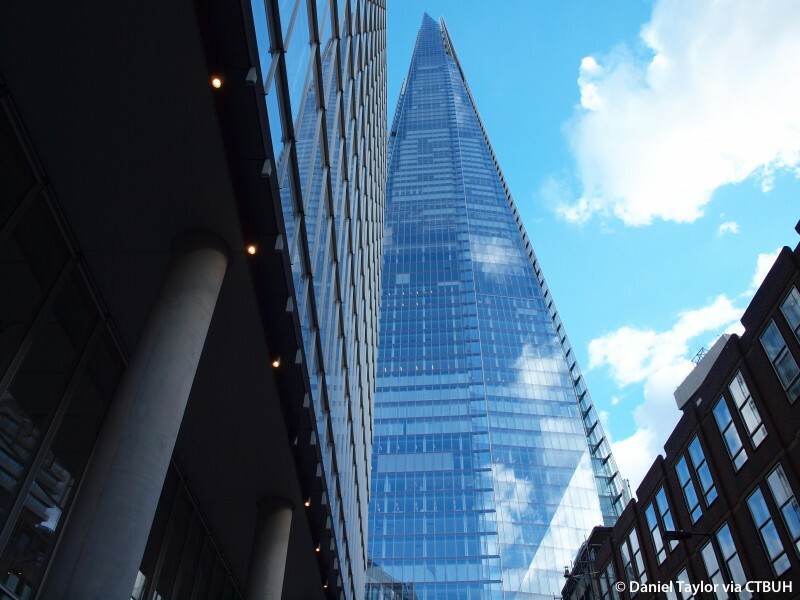 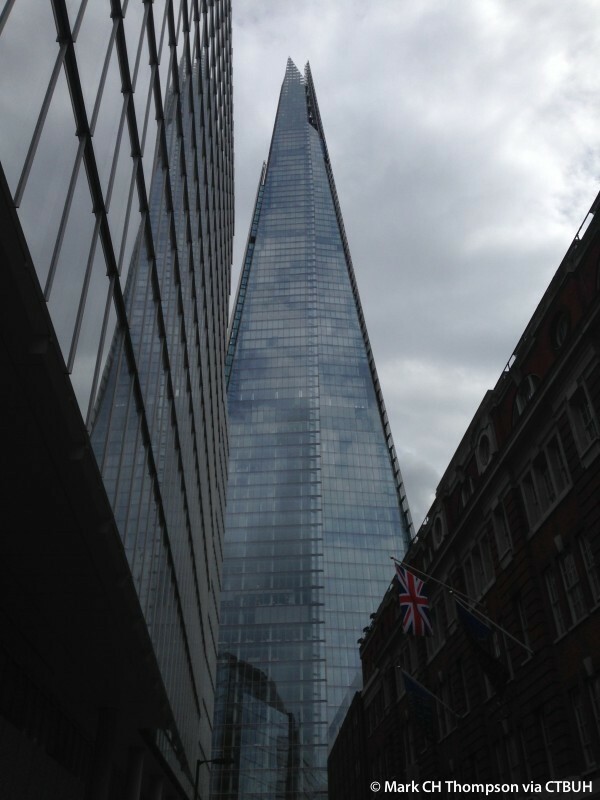 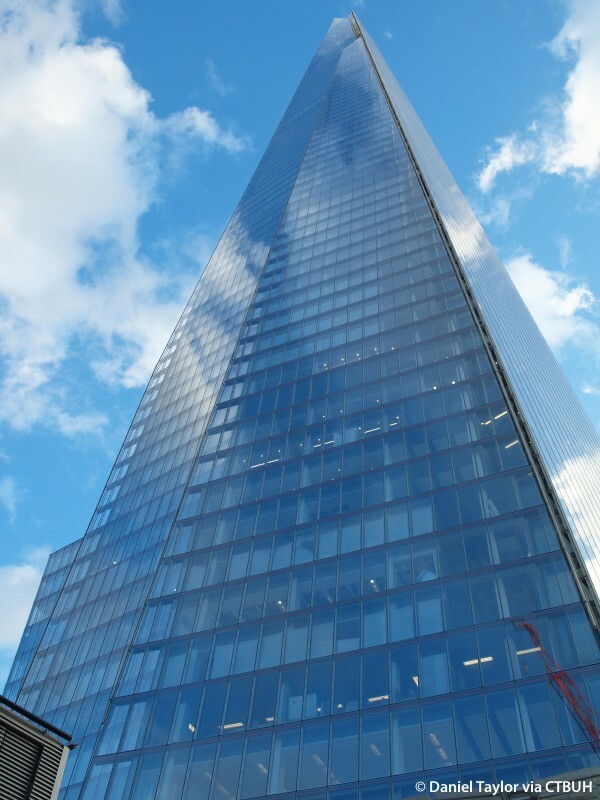 It is crowned with a steel-framed pinnacle and clad with shards of glass designed to blend into the sky. 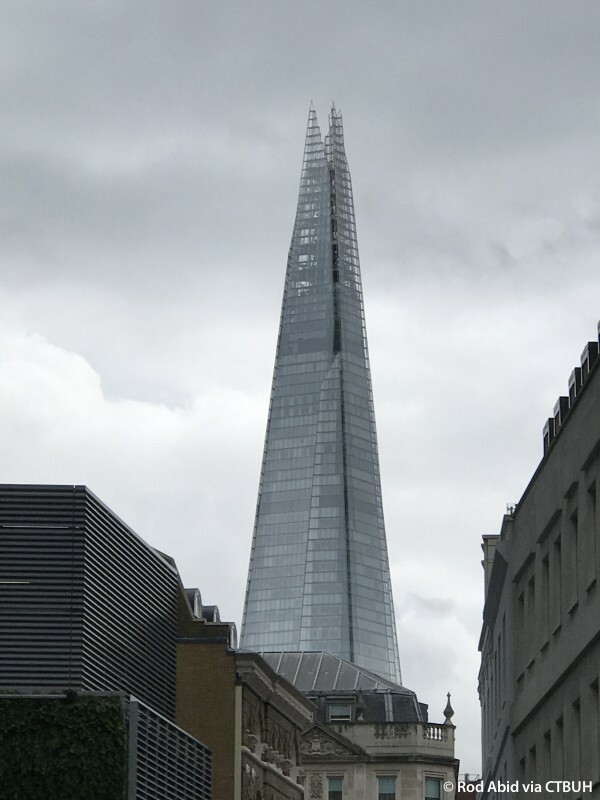 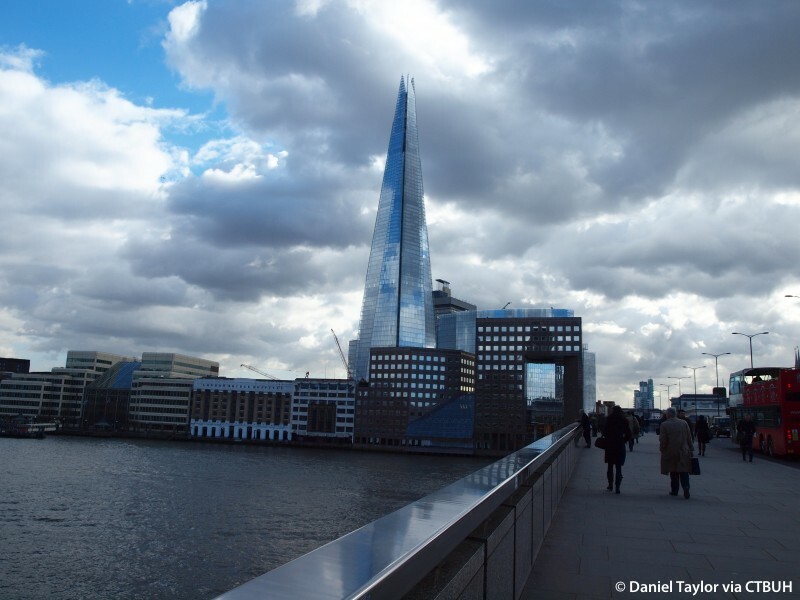 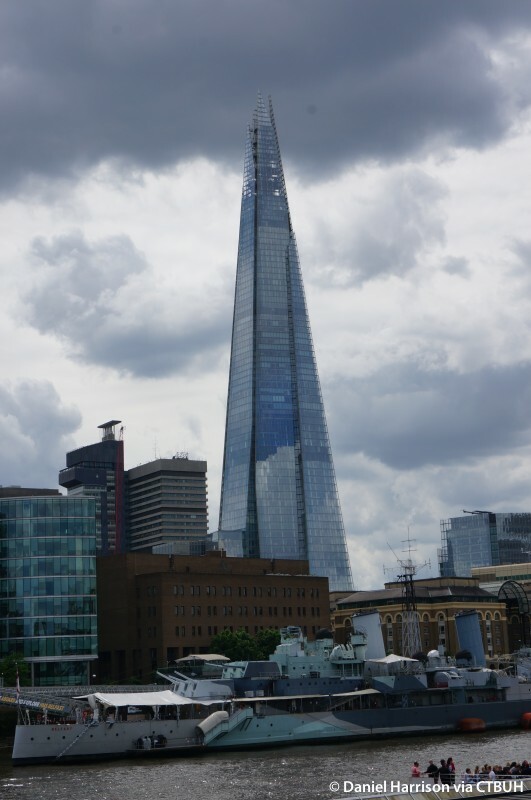 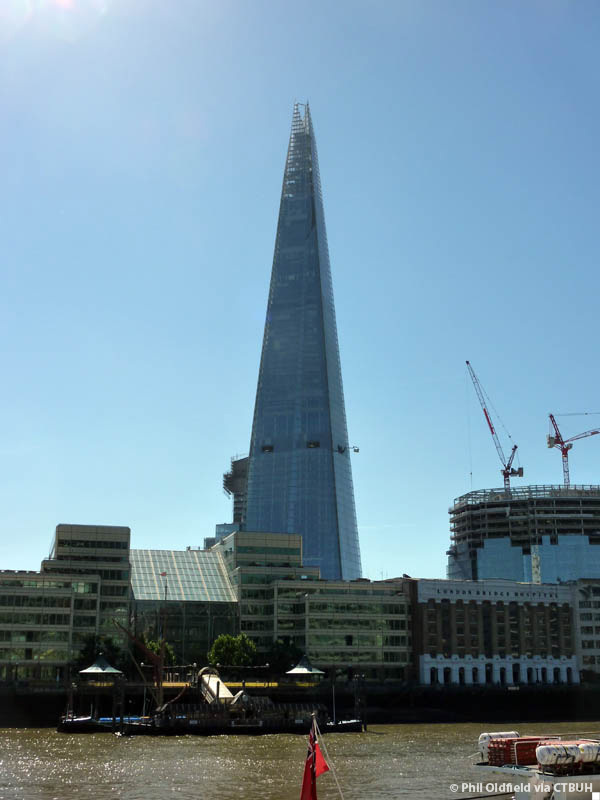 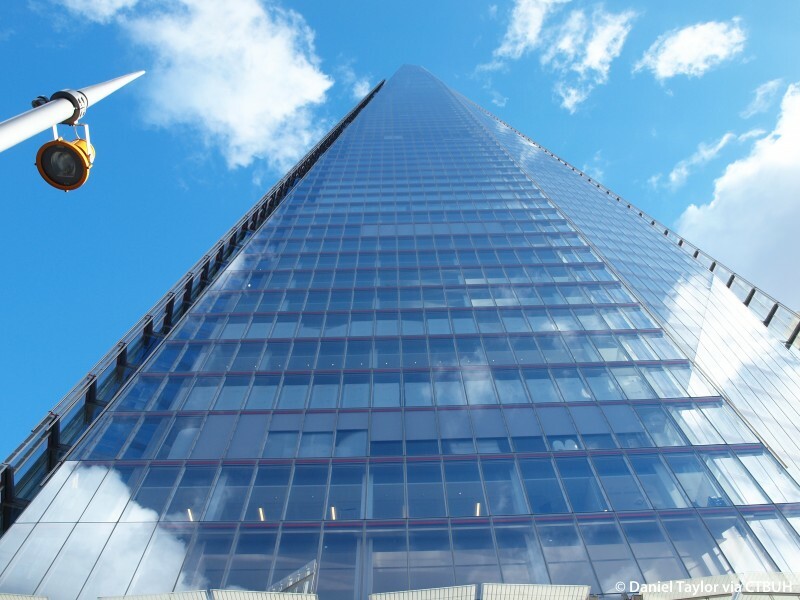 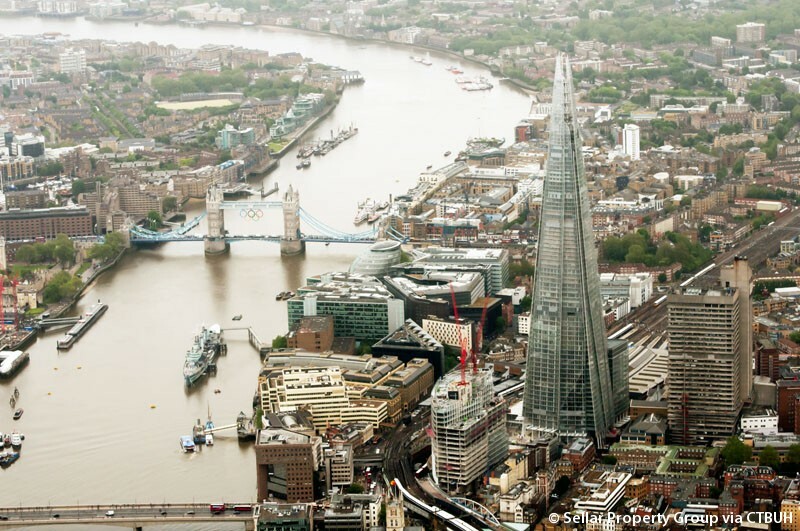 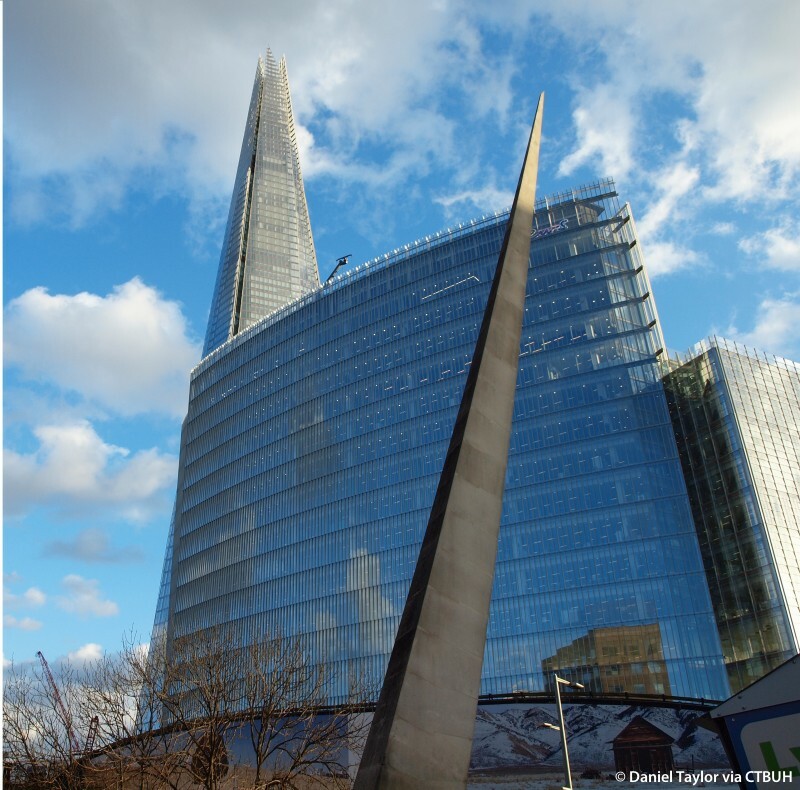 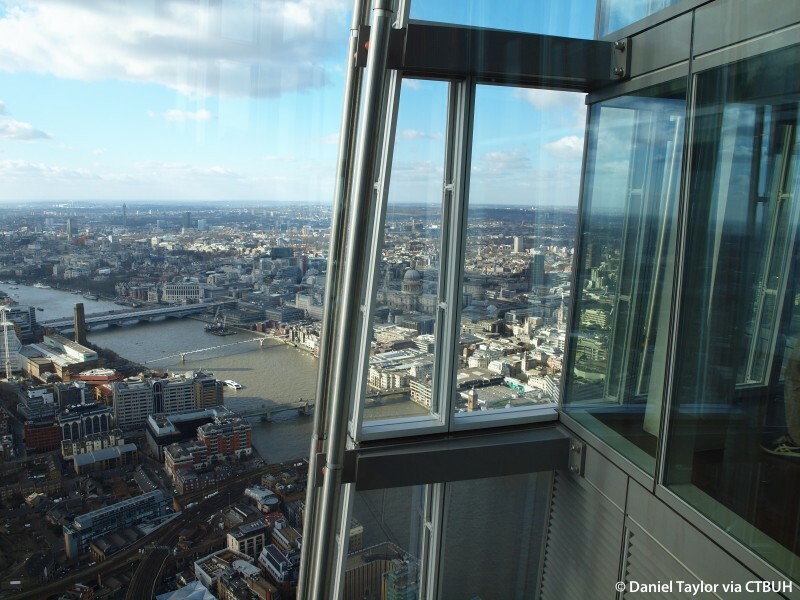 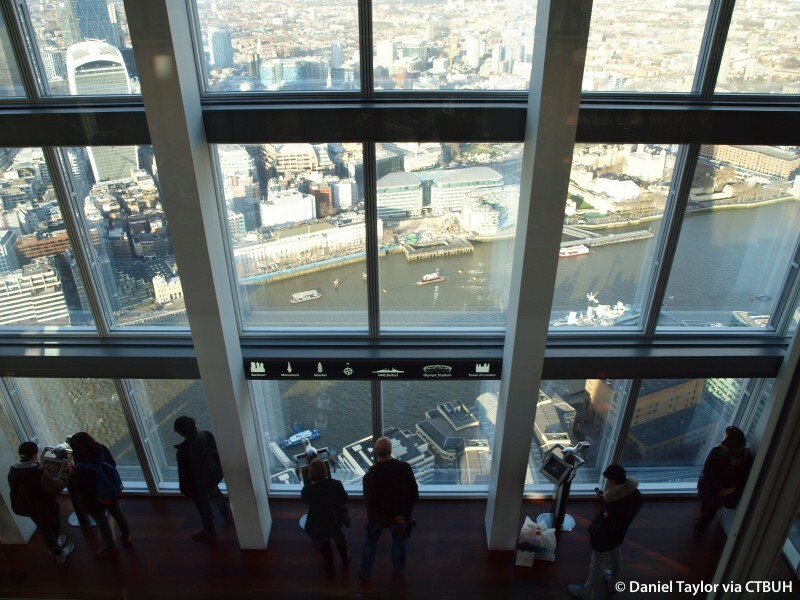 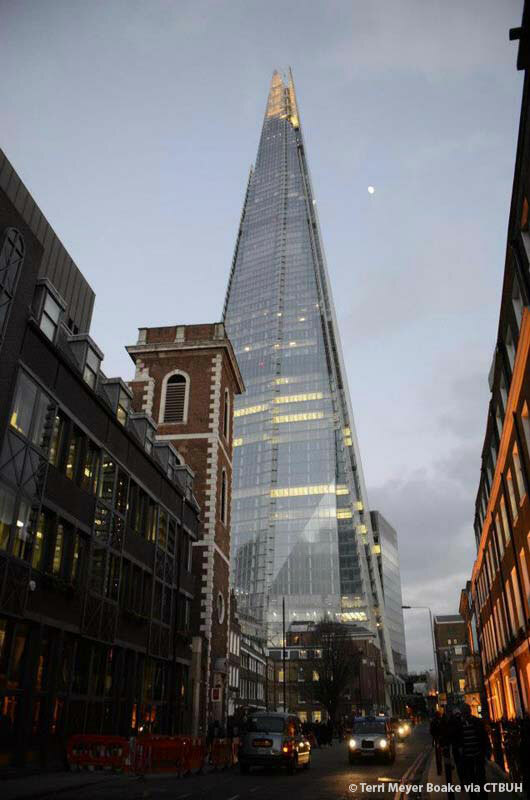 Standing next to London Bridge Station, one of London’s busiest transport hubs, at the heart of London Bridge Quarter, London’s newest commercial quarter, the Shard is a key part of the regeneration of London’s South Bank. 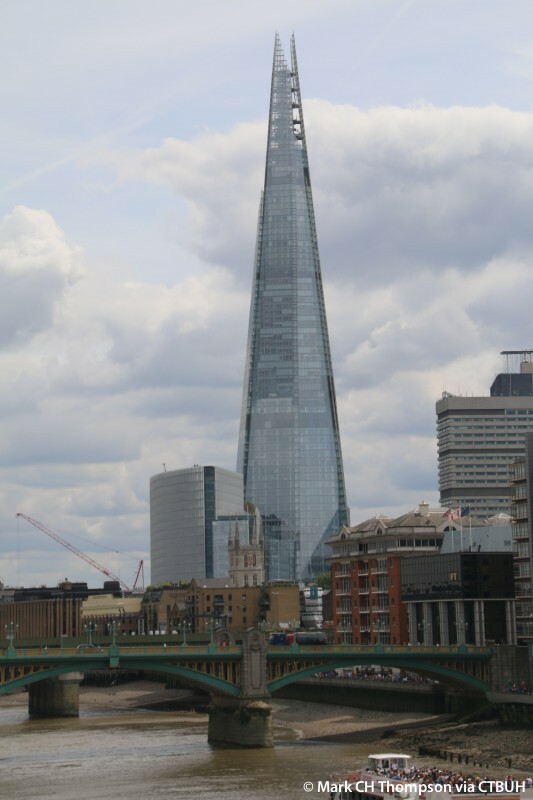 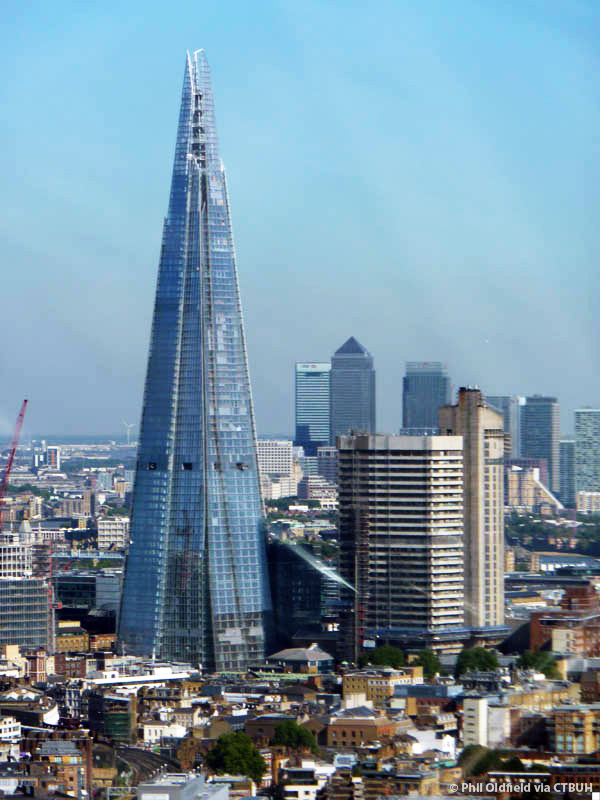 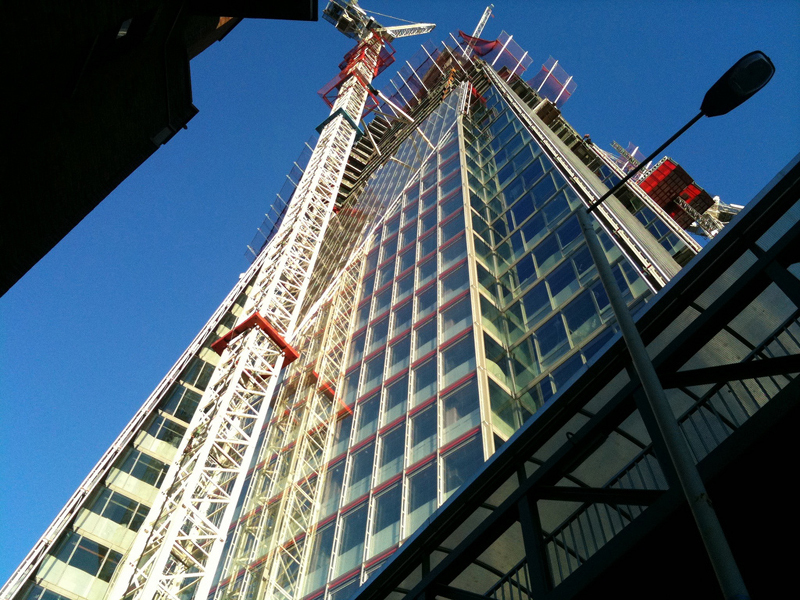 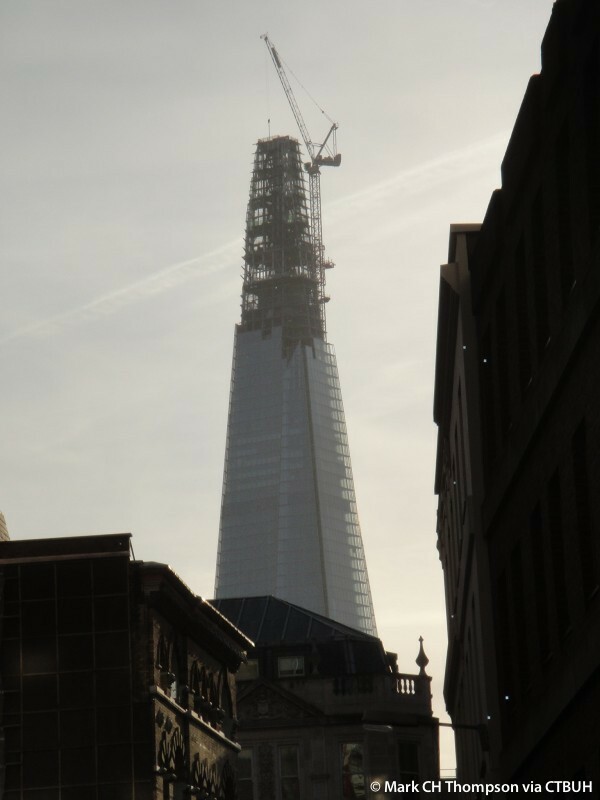 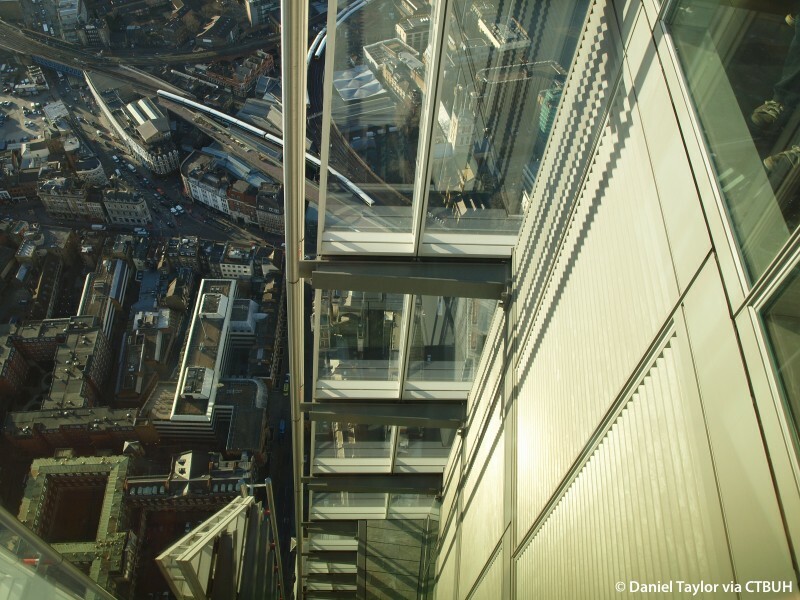 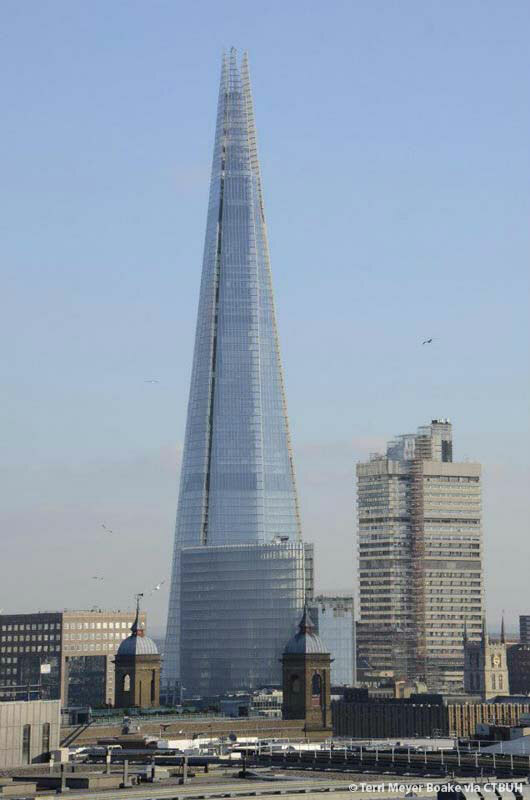 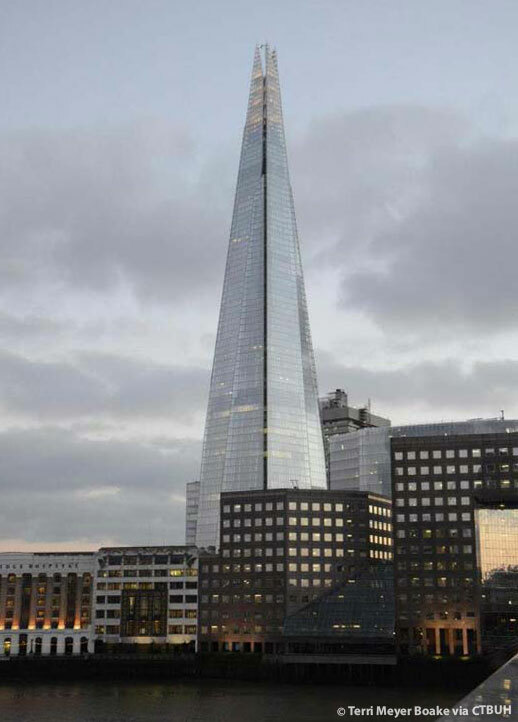 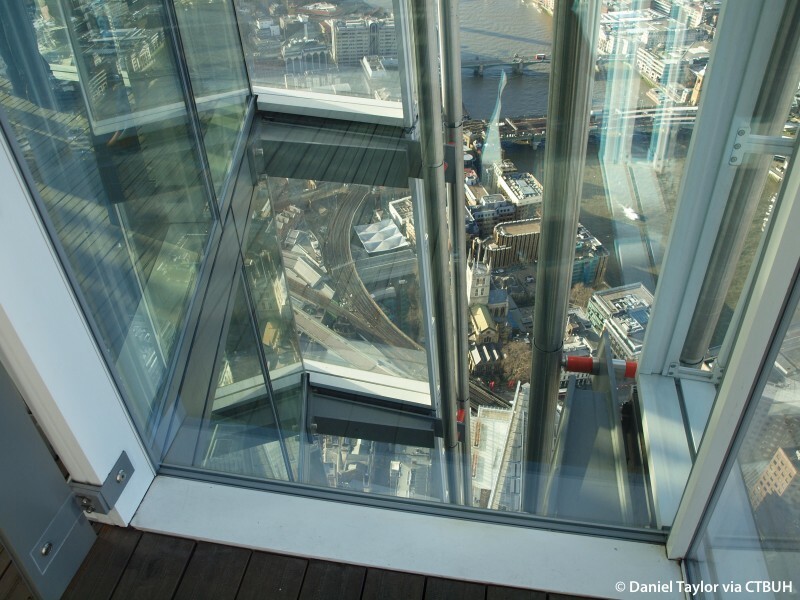 The name “The Shard” is derived from the architect’s description of the development as a “shard of glass” during planning stages. 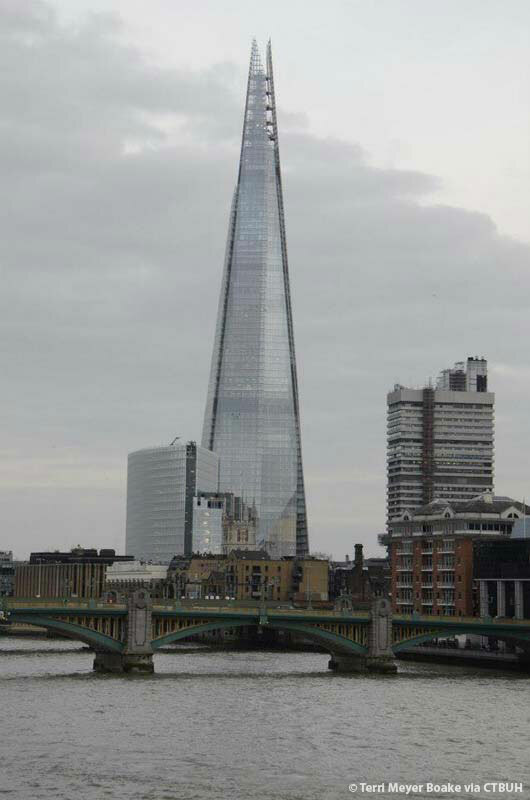 Its design was influenced by the irregular nature of the site. 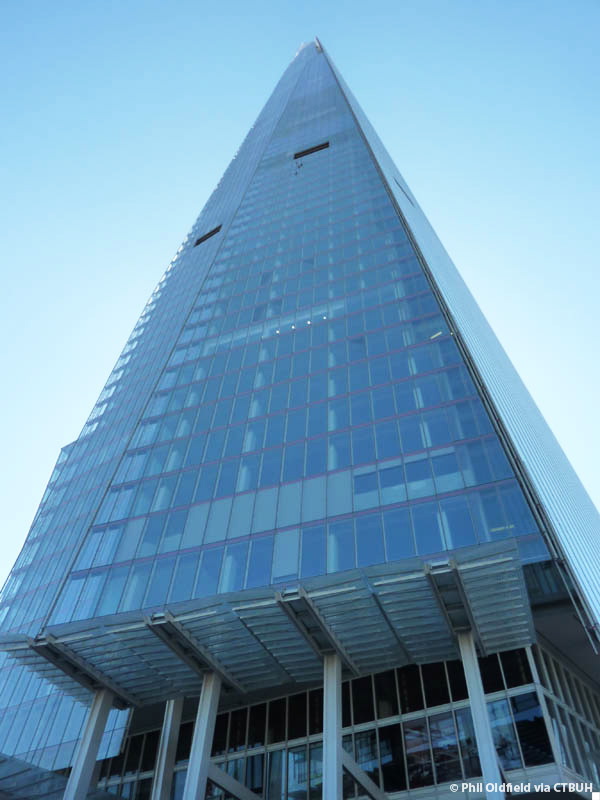 The tapered form of the building provides efficient and economic floor design, with optimally sized floor plates conducive to its function as a multi-use development. 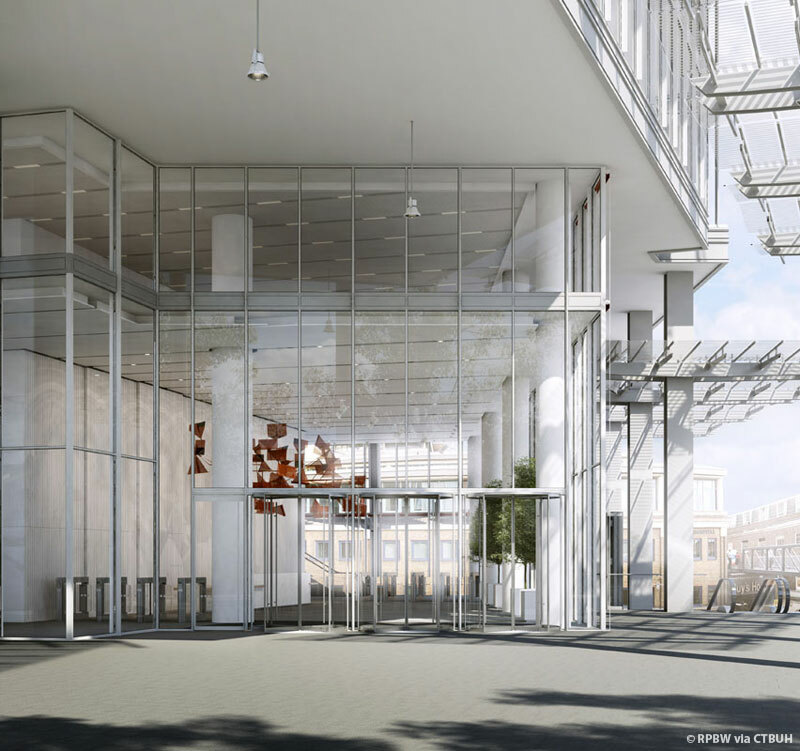 Thus, offices on the lower floor make use of large open plan spaces with minimal structural intrusion, while the upper floors suit the uses of the hotel rooms and apartments, which require smaller floor plates. 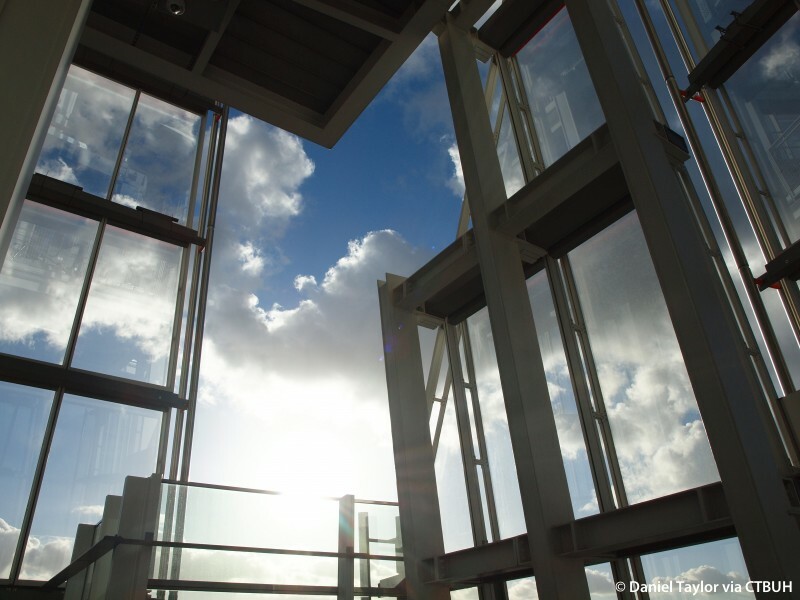 Moving further up into the spire, steel beams and columns with elegantly detailed connections help create an aesthetic, open space for the public to appreciate the views. 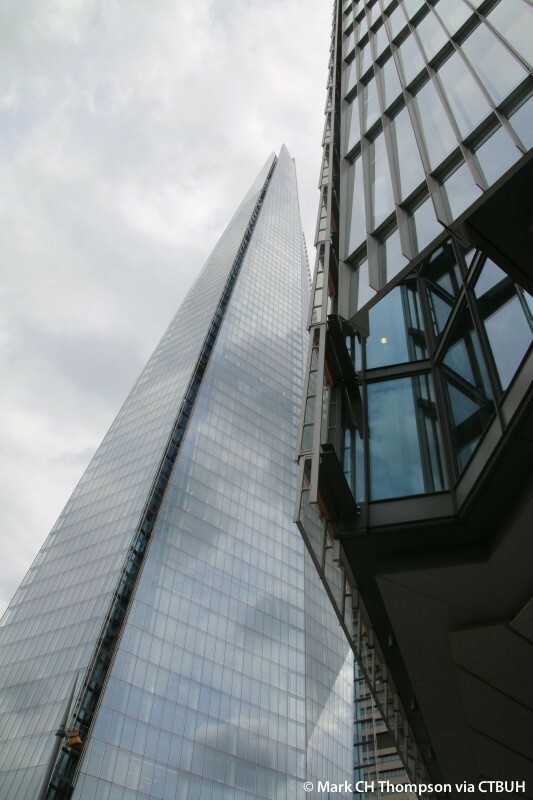 Matching the structure to the different uses allowed efficient use of materials, reducing both cost and the amount of embodied carbon on the project. 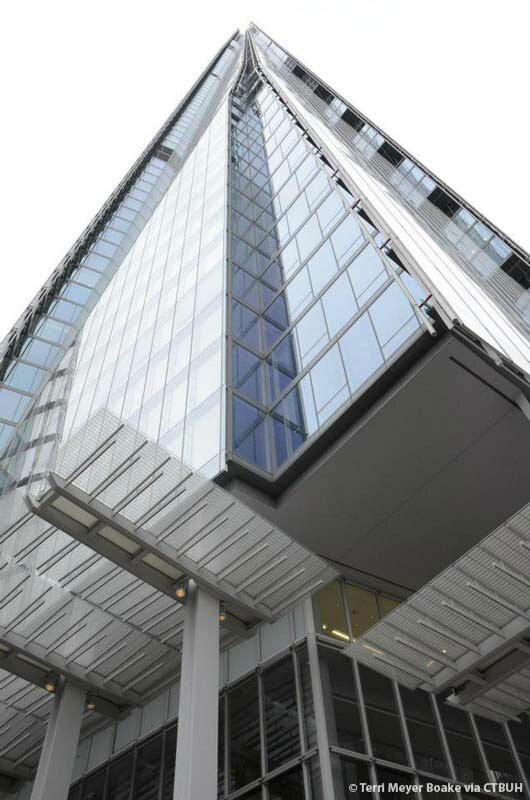 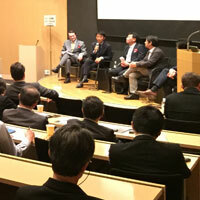 It also maximized the net lettable area for the client. 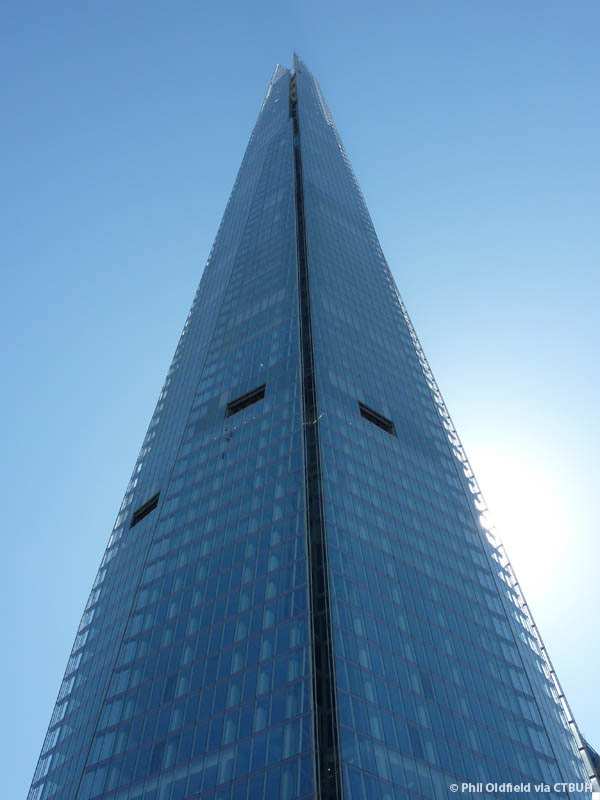 Delivering Europe’s tallest tower in record time drove structural engineers and contractors to rethink the basic principles of construction and use new techniques to go higher and faster than had been conducted in the UK previously. 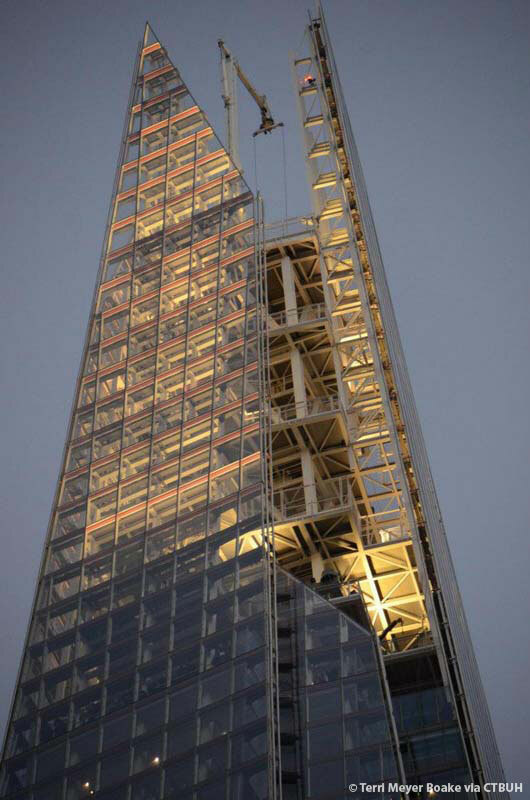 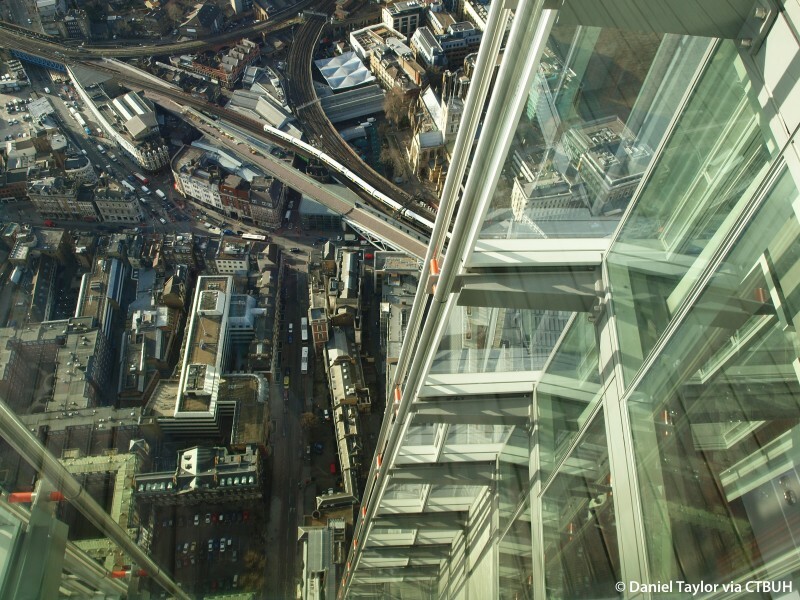 To overcome the challenges of building a skyscraper safely in central London, adjacent to a major transport hub, the team delivered a number of firsts: the first core to be built by top-down construction, the UK’s largest concrete pour, the first use of jump-lift construction, the first inclined hoist in the world, and the first crane to be supported on a slipform. 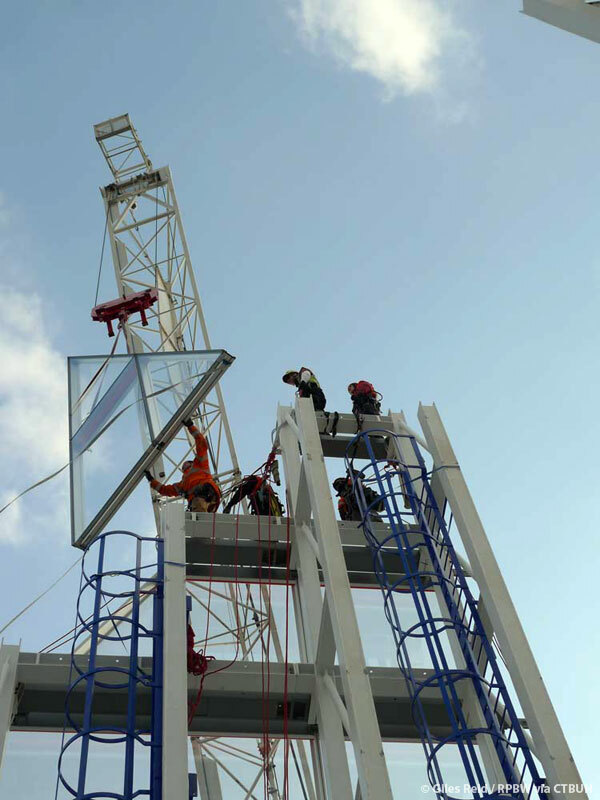 A specially designed laster-guided drilling rig was used to surgically place pilings among Victorian-era underground utilities and ancient archaelogical finds. 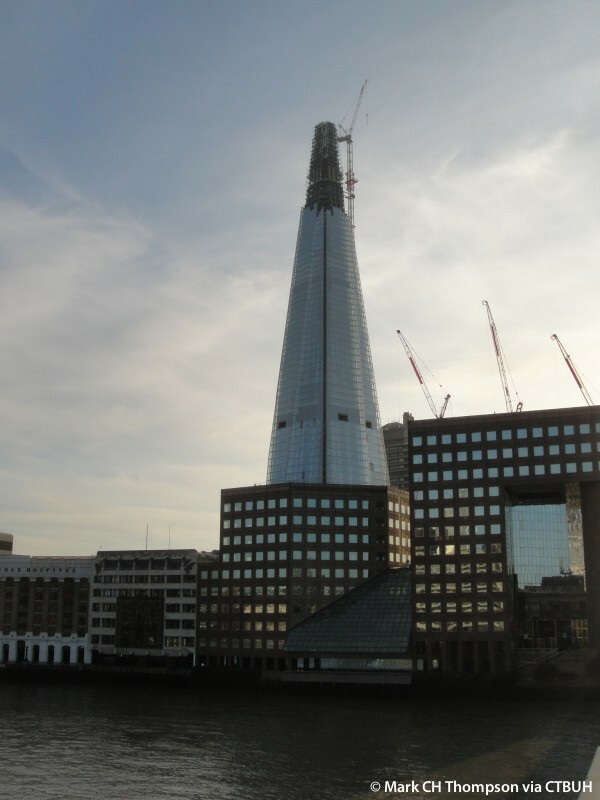 Top-down construction allowed the first 23 stories of the concrete core and much of the surrounding tower to be built before the basement had been fully excavated. 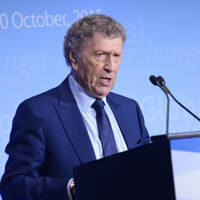 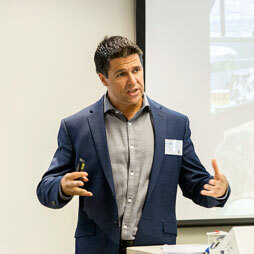 This technique was a world first and saved four months on the complex program. 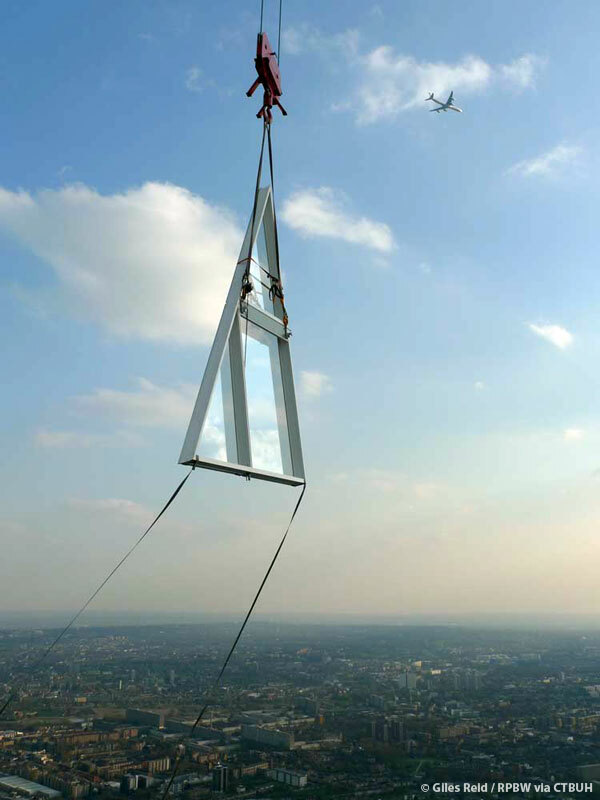 The distinct tapering form is achieved in five structural parts. 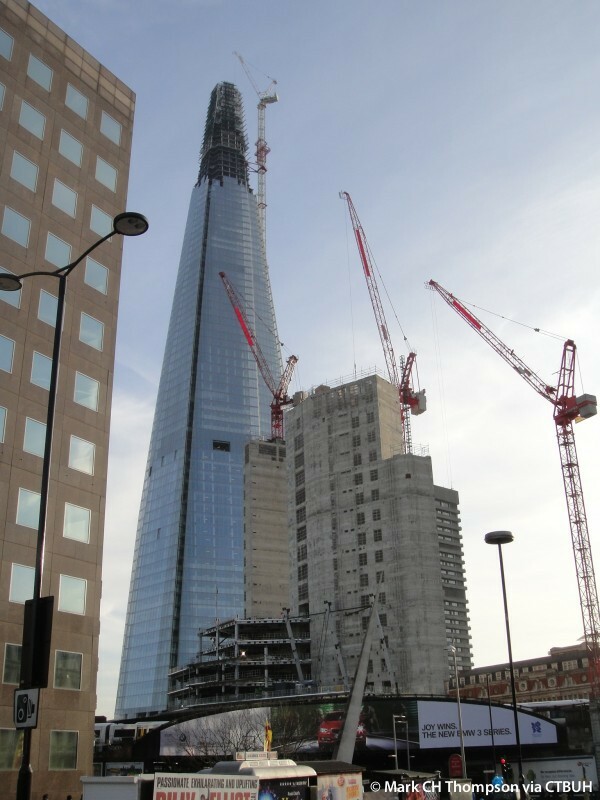 From basement level three to the 72nd floor there is a reinforced concrete core. 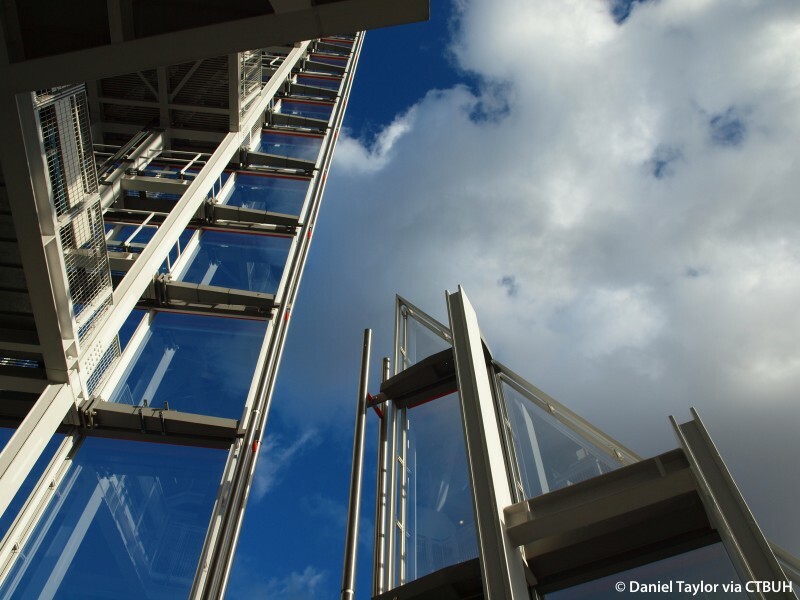 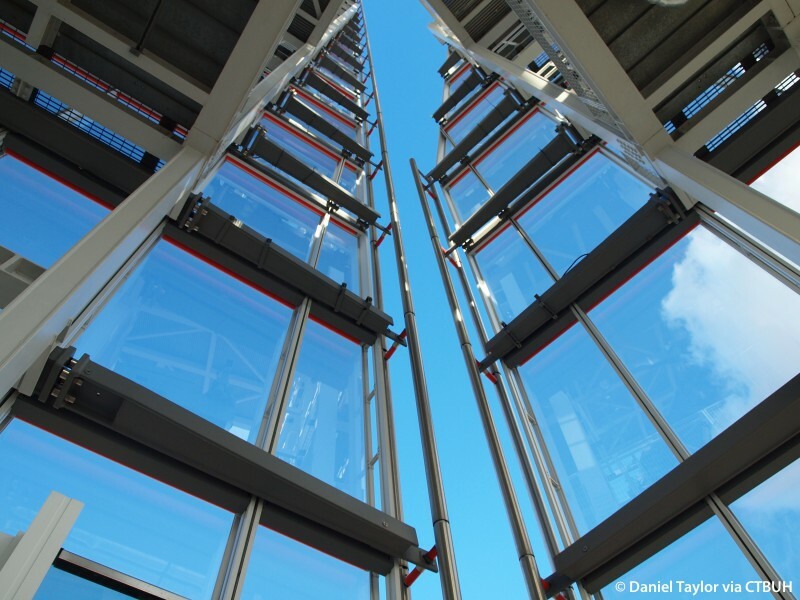 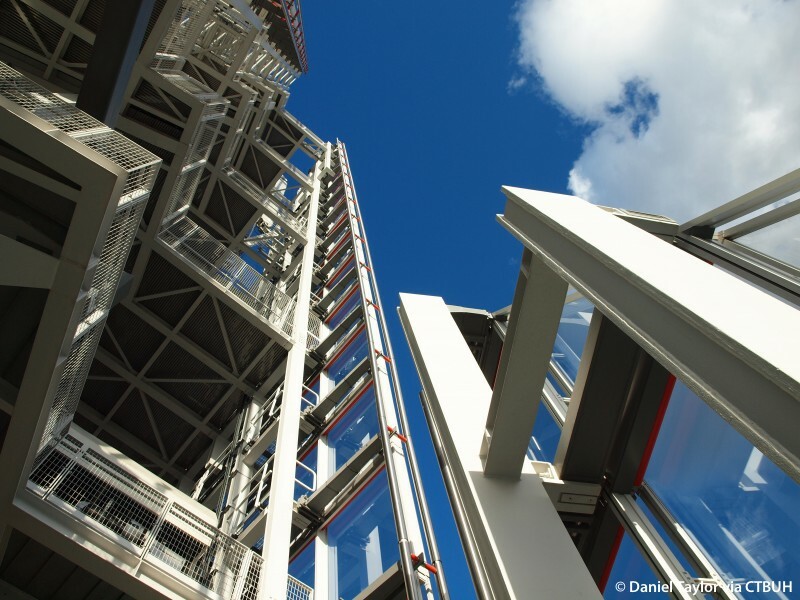 The first 40 floors are a composite steel frame, while a post-tension concrete frame runs up to level 60, with a traditional reinforced concrete frame taking the project to level 72. 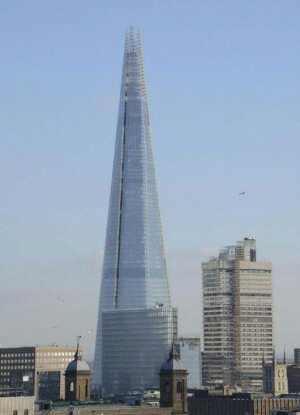 The spire, to level 87, is made of steel. 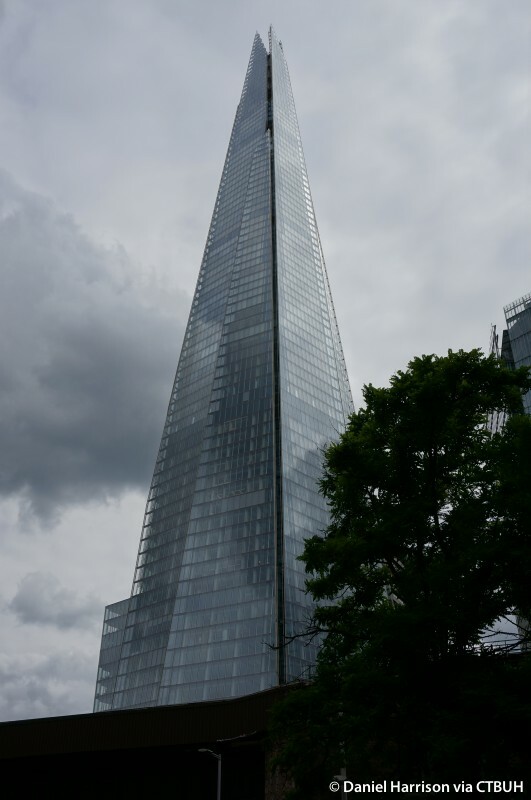 The mixture of concrete and steel increased the efficiency of the structure. 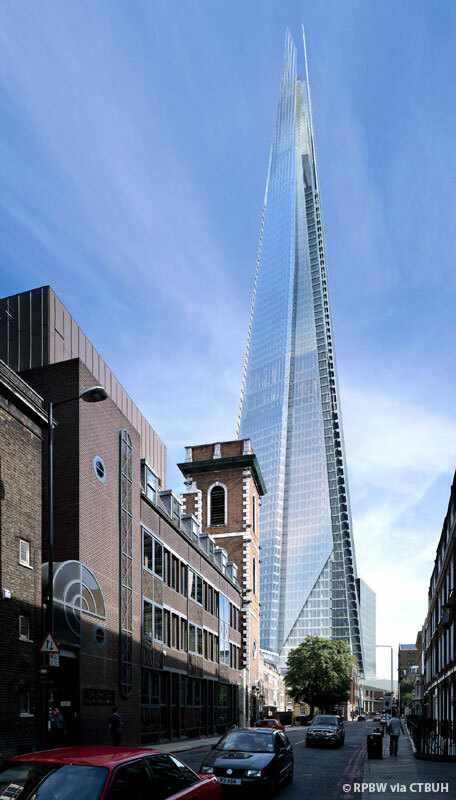 The design negated the need for expensive tuned mass dampers by building the hotel and apartment levels in concrete, sandwiched between the steel office floors and spire. 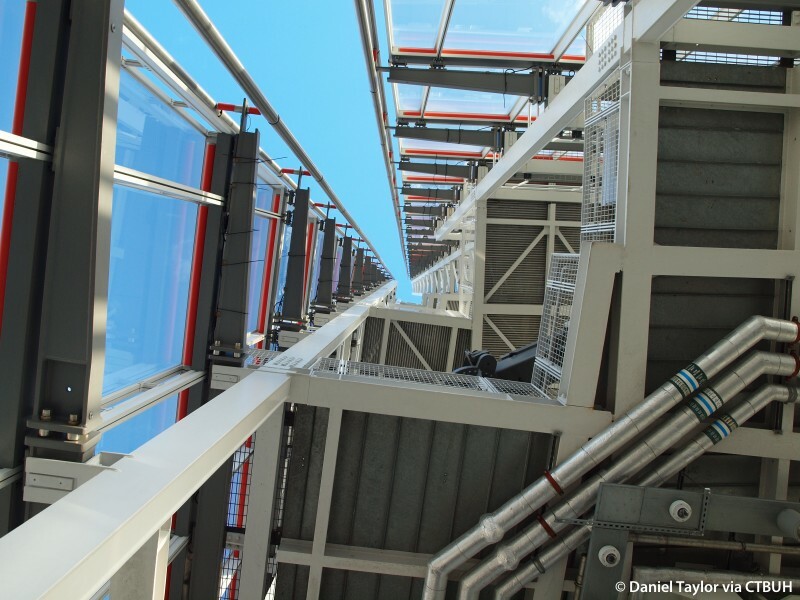 Post-tensioned concrete was more suitable for the smaller spans higher up the building and saved 550 millimeters per floor. 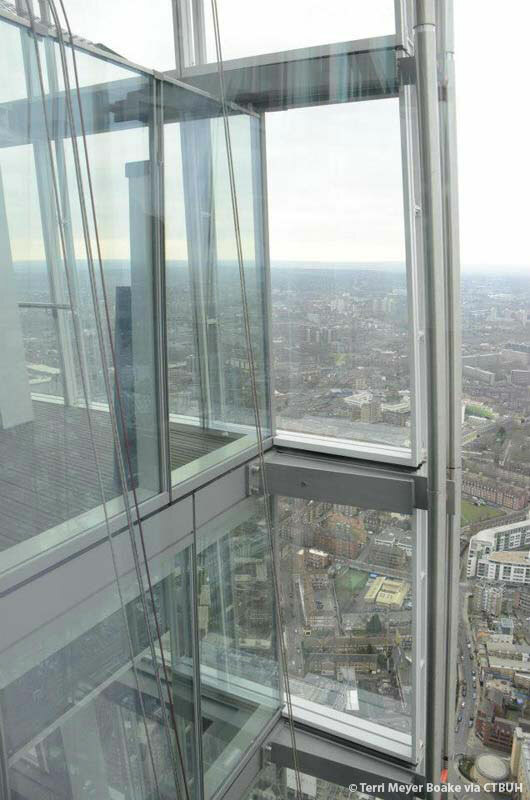 The concrete also provided structural damping, thus saving money and weight and releasing a further two floors as lettable space. 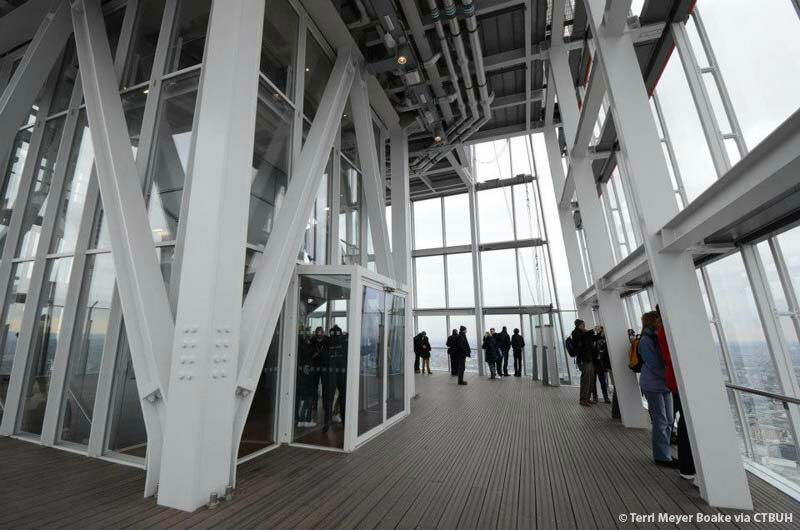 In addition, fabricated uniform-depth steel beams acting compositely with the concrete floor slabs optimized the space in the ceilings for services. 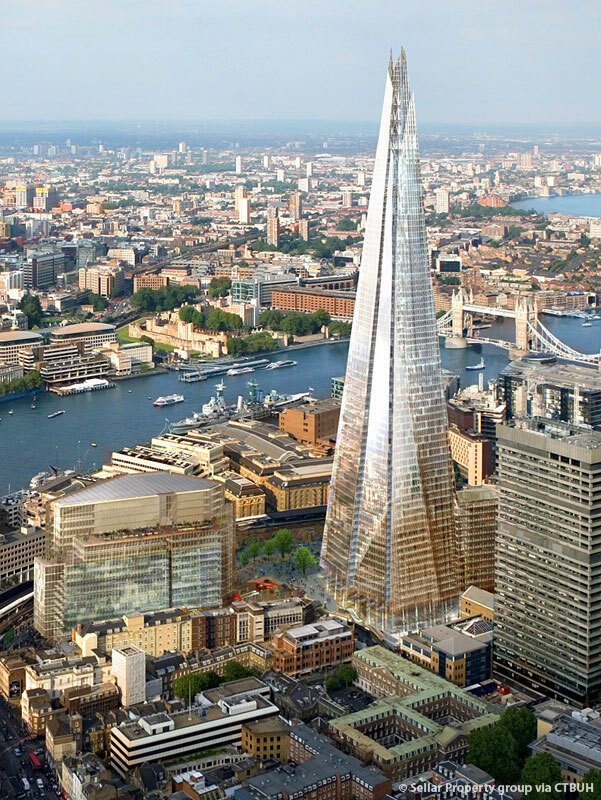 The Shard is intended to regenerate and energize South London. 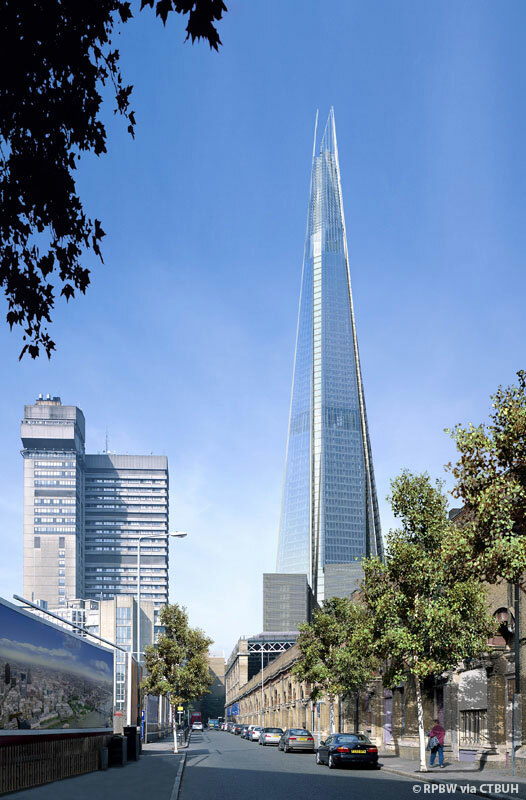 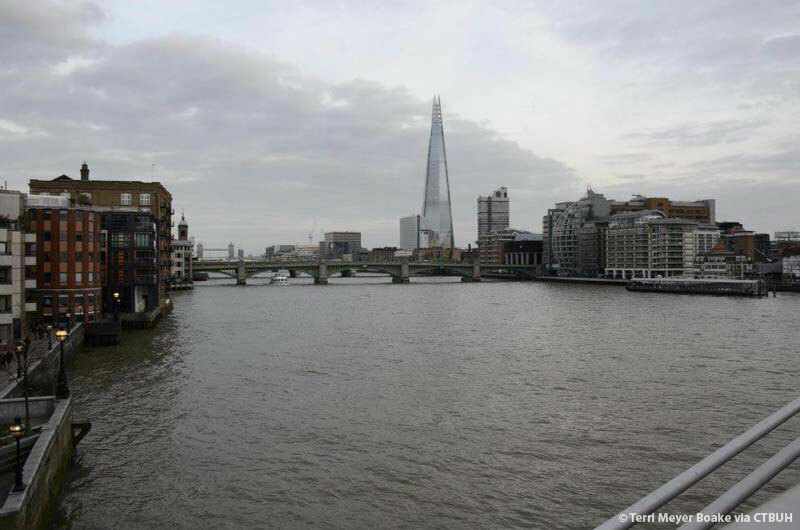 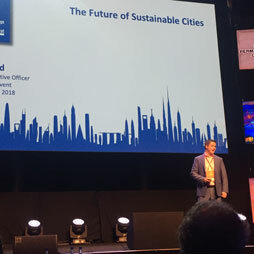 The development promotes sustainable travel by including only 48 car parking spaces and features a major refurbishment of the adjacent London Bridge station, which handles 54 million passengers a day.